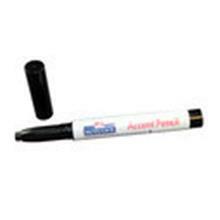 Accent Pencils are an easy to use tool for applying color or grain lines to a filler or a sand through area. They can also be used to apply color to light cut through edges. Accent Pencils can be used on small spot repairs to: ◦Create foreground color. ◦Add grain lines, distressing, mineral streaks, cow tailing. A protective coating must be sprayed over the area after applying. 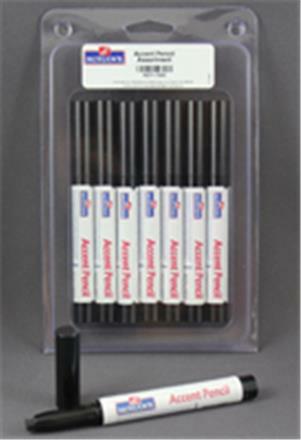 Accent Pencils come in 7 colors! Get the 7 pack assortment and pay $4.26 each or less!